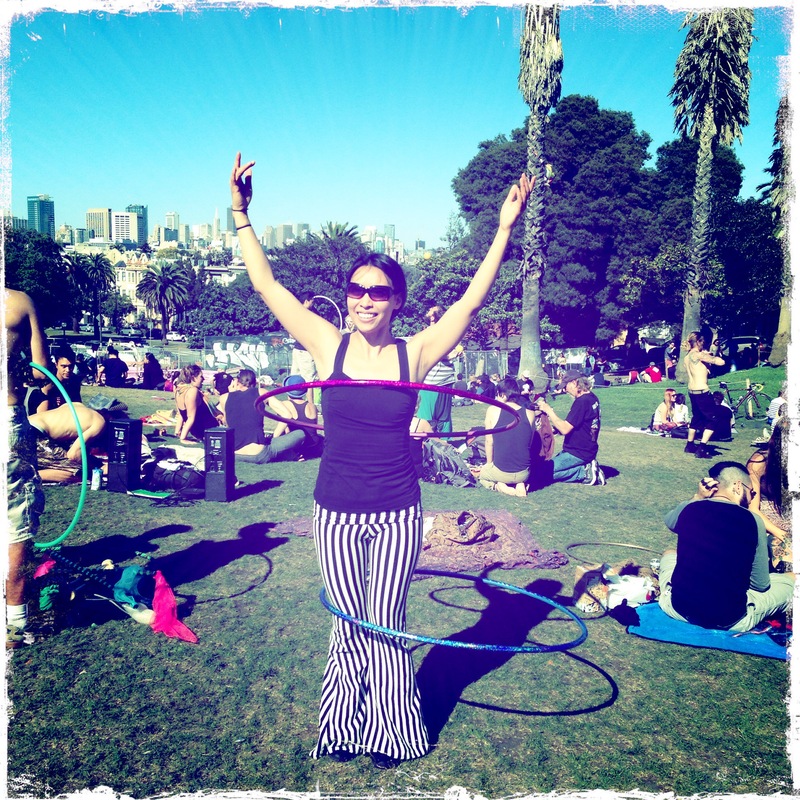 Recorded in March 2015 in San Francisco before her performance at the DNA Lounge, Valentina Martin caught me up on her life – a fusion of her talents and passions. I happened to be in town spending time with my husband (we eloped in January 2015!). 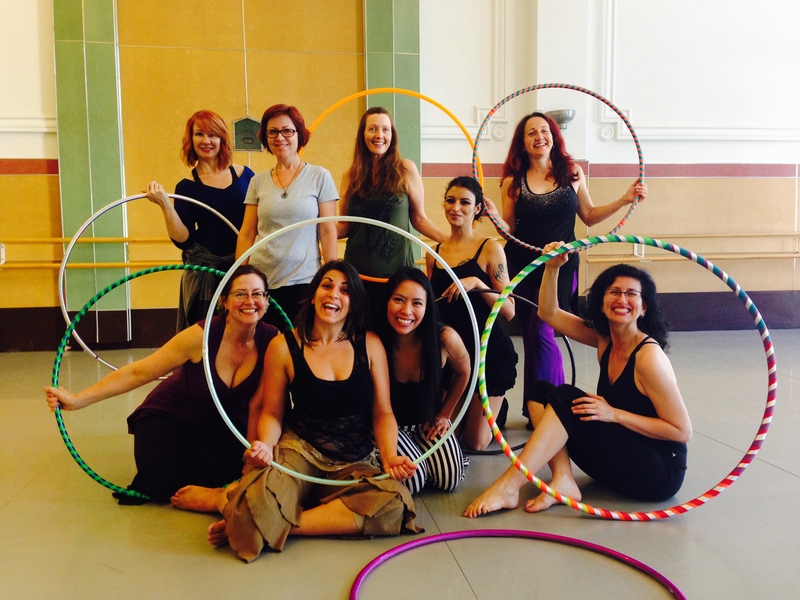 I timed it just right so I could take Valentina’s Belly Fusion workshop that combines belly dancing and hooping. She’s an amazing teacher and I continue to say that I want to be her when I grow up. Imitation is supposedly the sincerest form of flattery. I made a run at imitating Valentina when I went to the Rose City School of Burlesque and combined my hooping with a couple of acts. That lasted about 6 months basically because 1) I accomplished my goal and 2) it’s hard to come up with a new act and costume every couple of weeks! My hat – and bra! – off to this lady. She has created spectacular performances and shows with her hoop troupe, The Hoop Unit, her belly dancing and burlesque talents and now in Twisted Orbit, her partnership with her husband, Steve Bags. Fusion. 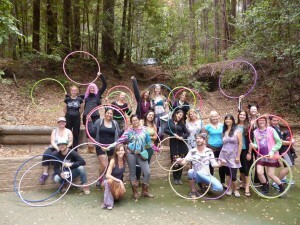 Lucky for me Valentina and Bags were teaching a Partner Possibilities workshop at Hoopcamp this fall. 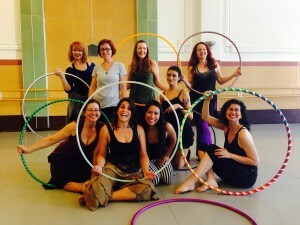 Now even I can juggle and partner hoop! Looking forward to teaching those new skills to my hoop friends and maybe even my husband. Enjoy the interview and please explore the many, many links to her work.